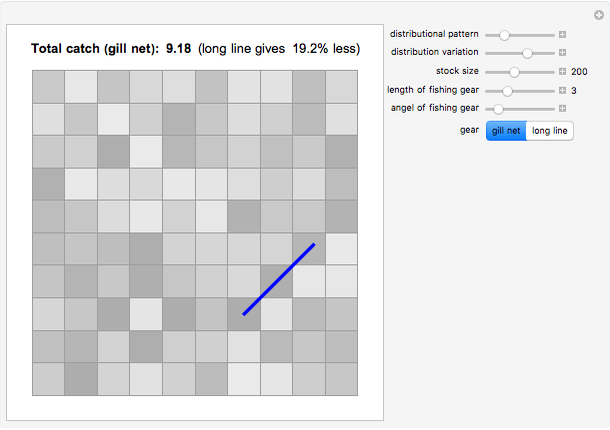 A fishing ground is represented by a 10×10 grid. Two alternative fishing gears are available, either gill net (blue) or long line (green). The catch obtained per unit of time depends on the properties of the gear but also on stock size and the spatial distribution of the fish. This Demonstration can be used to study gear differences under different environmental conditions. Arne Eide "Fishing with Long Line or Gill Net?"